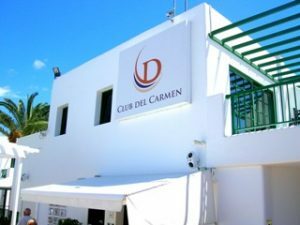 On the volcanic island of Lanzarote is where you will find a jewel in Diamond Resorts’ crown: Club Del Carmen. This small yet mighty resort is comprised of sixty-six beautifully furnished apartments that come complete with full kitchen and a balcony or terrace. The location is ideal for excursions, leisure activities, and even shopping. The surrounding area is globally renowned for its stunning landscape and views across the ocean. Some beaches are known as a surfer’s paradise! An ideal holiday destination for all types of holidaymaker, the island is a short flight away from many European locations. This makes it a popular year-round location for your well-earned holiday. Travel and Leisure Group Conveyancing Manager John Pearce has just returned from ten days in beautiful Lanzarote. Because we wanted an insider’s look at Club Del Carmen, we sat down with him to find out more. TLG: Why did you choose Club Del Carmen for your holiday? JP: I chose it mainly because of its location to the Playa Grande beach, the shops and restaurants. 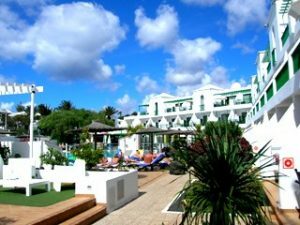 It is one of my favourite Diamond Resorts in the Canaries as it’s a small resort and very friendly. It’s also not too far from the airport, meaning you don’t have the long journey to get there. TLG: What were the facilities like at the resort? JP: It has everything that you need, plus a great pool bar where you can eat, drink, and chat to other owners. Therefore if you want to stay on-site the whole time, you can! TLG: What were the best moments of this week for you? JP: Just to be able to relax in peace and quiet and to be able to get some sun at this time of the year. It was not too hot in April but I could still get a great tan! I must also mention my favourite restaurant, La Opera Bistro in Playa Honda. It does the best steaks ever, and I went there twice in the week! TLG: Did you stay in the resort the whole time? If not, what did you do outside the resort? JP: No, we used the resort as a base really. I have friends who live on the island and as such we like to meet up a few times in the week and travel the island. Having someone who can take you to all the best sights and restaurants is great, and we went all around. Consequently we got to see a lot more of the island than if we’d ‘stayed in’. TLG: Quick fire: what was your favourite dessert of the week? JP: The chocolate fondant at Antica Trattoria di Verona—it was so good that I took photos of it! My wife had the homemade hazelnut ice cream and that was a very close second—I’d certainly recommend their desserts to anyone. TLG: Do you plan to visit the resort again or do you have plans to try a different timeshare resort for your next holiday? 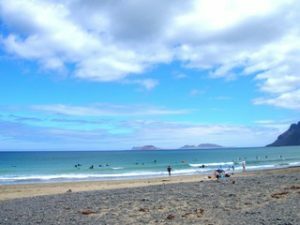 JP: I want to go back to Lanzarote again towards the end of the year, and as I have a stayed in Playa Blanca before, I’d love to stay again at Jardines Del Sol. It’s reasonably close to the shops and port if you want to walk, or a taxi is only about €5. If you’re looking to buy timeshare at Club Del Carmen, Travel and Leisure Group’s knowledge is especially noteworthy. You’ll receive first-class service from our friendly Buying team, who will be able to offer you weeks at over 50% off developers’ prices and give you comprehensive advice and recommendations from over two decades’ worth of experience in timeshare resale.